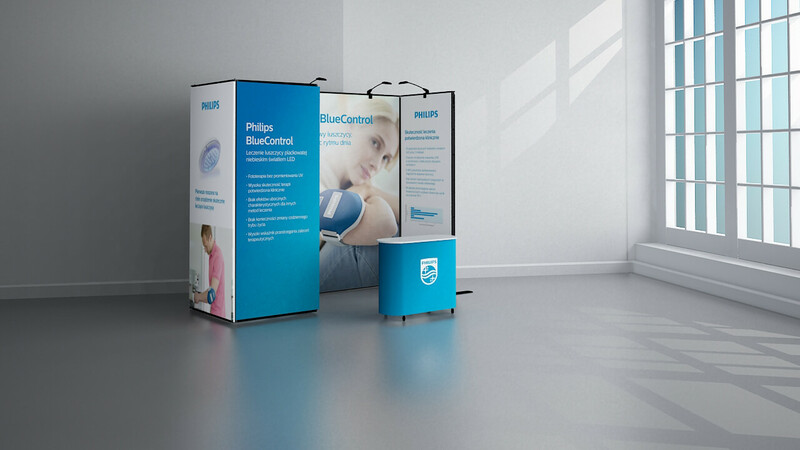 Philips BlueControl is the world’s first wearable phototherapy for mild to moderate plaque psoriasis. Thanks to the innovative design of the small battery‐driven device, you can benefit from clinically proven blue LED light while following your normal daily routines. 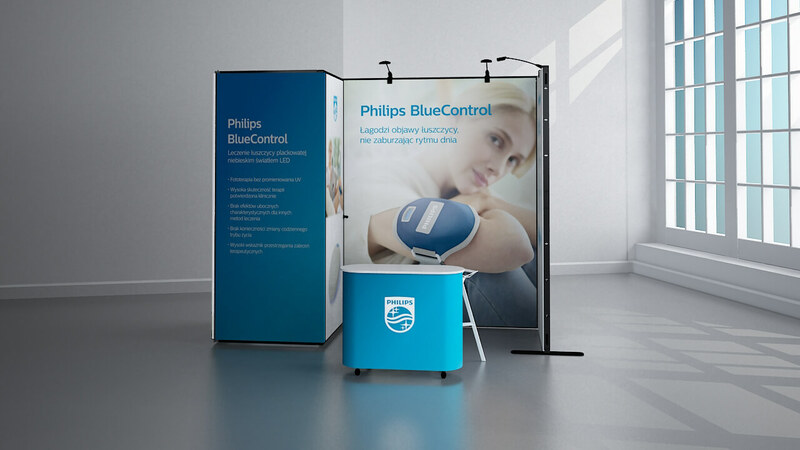 We have prepared a stand design – we have designed the shape and the system. We have prepared printouts of advertising materials, such as leaflets, brochures, business cards, and we have prepared print ads and discount coupons.